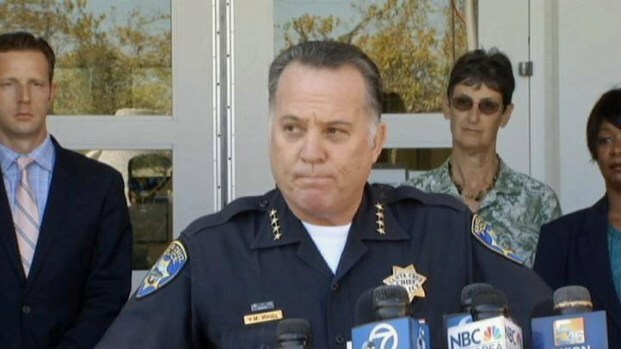 A 15-year-old boy lured 8-year-old Madyson "Maddy" Middleton inside his apartment and killed her before hiding her body in a recycling bin at the Santa Cruz housing complex for artists where they lived, the city’s chief of police said Tuesday. Police Chief Kevin Vogel said the teen brought the girl to his apartment, where she went “willingly," before he "murdered her inside his apartment and carried her downstairs to the recycle bin." The teen was spotted very close to the dumpster bin when the body was found, Vogel added, and the girl's body was "concealed in a way that wasn't obvious or readily apparent." A police statement said the teen had gone to "great lengths" to hide and disguise the body. It took detectives a second sweep of the complex to find the body, Vogel said, because they were in "search" mode at first, before switching to "recovery" mode. The teen, who was arrested Monday about 8 p.m., was an "acquaintance" of Maddy's, as they lived in the same Tannery Arts Center apartment complex, a haven for artists and performers. Vogel said there was evidence to lead police to suspect the boy of the "horrific crime," but he did not offer a motive for the killing. Some of that evidence, police said, included Maddy's "belongings, witness statements and video evidence." Vogel added that he was so "hopeful" that his detectives would have been able to find her alive, a sentiment that was echoed by Mayor Don Lane, who expressed his "deepest sympathies" to Maddy's family. Speaking at a news conference Tuesday morning, Santa Cruz District Attorney Jeffrey Rosell said his office is strongly considering charging the teen as an adult. And police will have to wait for an autopsy to see if the little girl was sexually assaulted. The news conference came after police and authorities from the Department of Justice searched the third floor of an apartment building where the boy lives with his mother. One neighbor described the teen as a "straight shooter" and an overall good kid who comes from a loving family. Even Kirby Scudder, who dates Maddy's mom, called the teen a "great kid." The girl, who was last seen riding her Razor scooter on Sunday afternoon at the complex, was officially reported missing at 6:08 p.m. that evening. Video surveillance showed her riding about at 5:05 p.m. Vogel said, "It is my belief that she was killed before we even got the phone call that night." A 2006 FBI study revealed that about 76 percent of abducted children who are killed are dead within three hours of the abduction. On Tuesday, a growing memorial of candles, flowers and stuffed animals marked the site where she was last playing. Artists, friends and neighbors walked arm in arm, heads down, showing their grief. 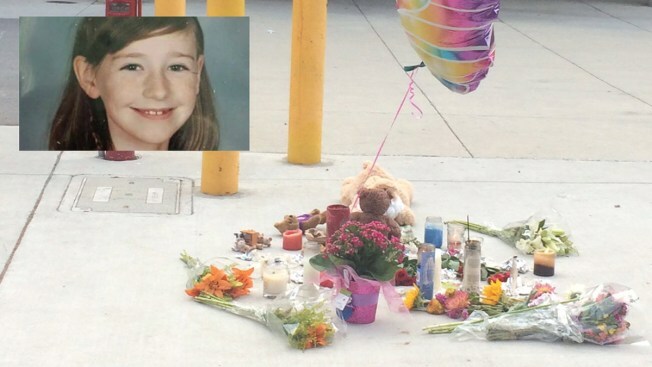 "She was in the courtyard where she was supposed to be," her mother, Laura Jordan told NBC affiliate KSBW. "I already fell apart. Now, I'm just in survival mode. I can't explain how difficult this is." 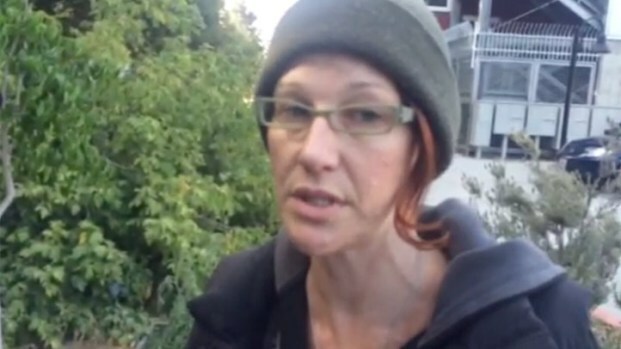 Her mother, Laura Jordan, did not speak publicly after the body was found. But earlier in the day, while crews and volunteers were searching for Maddy, she told NBC affiliate KSBW that her daughter knew not to stray or go with strangers. "She was in the courtyard where she was supposed to be," Jordan said. "I already fell apart. Now, I'm just in survival mode. I can't explain how difficult this is." Witnesses said the 15-year-old boy was calm and was cooperating with police when he was seen walking in handcuffs to a patrol car Monday evening. Santa Cruz police and the FBI take a 15-year-old boy into custody after a girl's body was found in a Dumpster on July 27, 2015. Police believe the body is that of 8-year-old Maddy Middleton. Terrence Keller, a neighbor, described the teen as a good person: "I've known him a long time. He's a nice, well-spoken kid. It's very unfortunate to say the least." Keller said he's known the teen since he moved into the arts complex about six years ago. He said he thought so highly of the teen that he once considered inviting him to his gym to work out. The neighbor said that he had never seen the teen hanging out specifically with Maddy or other young children at the complex. A woman who appeared to be the boy's mother screamed in hysterics as her son was taken away by police. According to the National Center for Missing and Exploited Children, the murder of an abducted child is rare – about 100 cases each year. That's out of a total of about 467,000 child abductions in 2014, according to the FBI's National Crime Information Center. But in most of the child abduction murder cases, the FBI notes, the victims are slightly older than 11 and the killers are about 27 years old. NBC Bay Area's Kristofer Noceda contributed to this report.